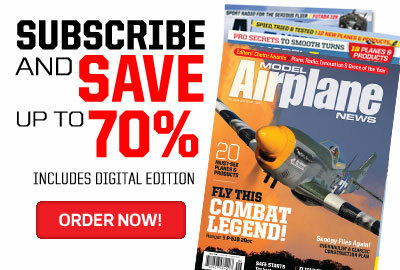 I know what you’re thinking….”ANOTHER P51? 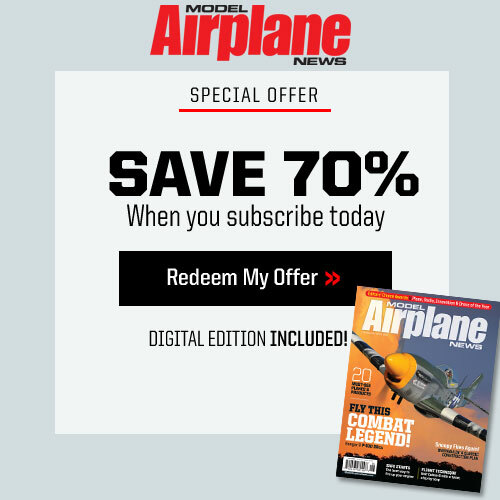 !” Well yes, fellow modelers! 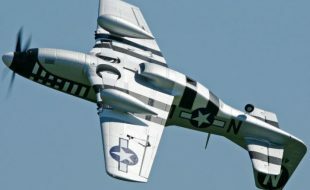 However, this is no ordinary D model with invasion stripes, this is the only Rolls-Royce Griffon powered P51 on the planet, and one of the most unique models you can show up to the field with. She started out as a “D”, and though her history can be a bit murky, she’s become one of the great contenders for Reno Gold. 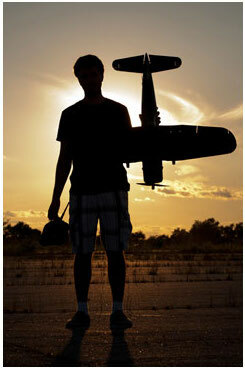 With an Avro Shackleton engine’s 3,000+ horsepower on tap, swept contra-rotating props are used to absorb all the power. They give “PM” her unique scream, and push her to near 500 mph 50′ above the deck. 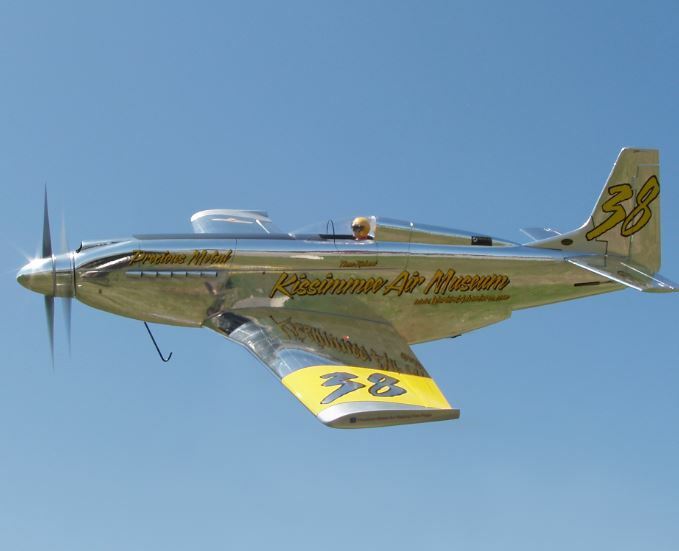 Thom Richard now owns her, and keeps her at the Kissimmee Air Museum in Florida where they wrench on her , tweaking the last bit of power and speed from an airframe designed nearly 70 years ago. Thom is a super nice guy that helped me out a lot with this model. He provided valuable insight and knowledge into designing a model P51 with a contra-rotating setup, and I thank him much for his assistance. 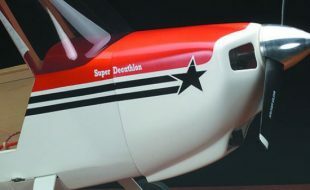 The design presented here is “PM” as it was flown at Reno 2012. Prior to this, she had straight-cut prop tips, and bare metal fuselage with Day-Glo green wings. By the 2013 races, she’ll have modifications made including a longer canopy, different wing/stab tips and most likely a new paint job. These modifications would not be hard to make to keep the model up to date with Thom’s vision. 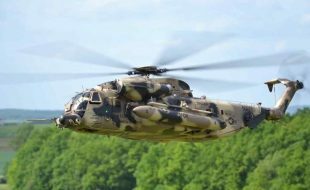 Though not a beginners build, anyone having built a kit (not ARF) shouldn’t have too much trouble with it. The power setup has been tweaked with regards to props, amp draws, and rpm’s. I wouldn’t deviate from what’s prescribed unless you like to tinker. 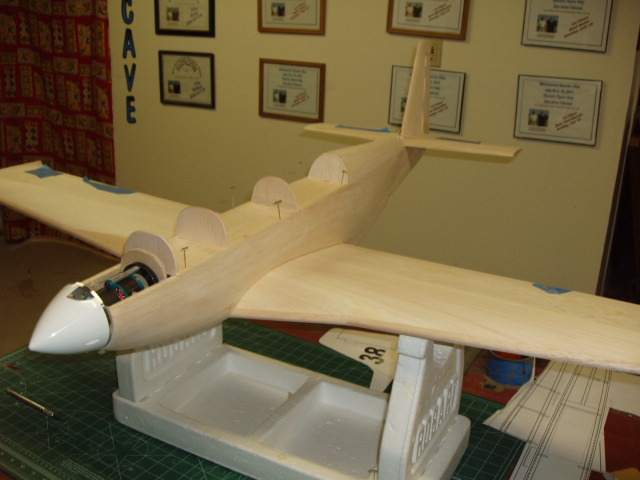 The fuselage, vertical and horizontal stabs are wood, while the wing is foam core sheeted with balsa. I did not install a landing gear in order to save weight, as there are already two motors, two ESC’s, and a large battery already on board. The wing is made from four foam sections, two inner and two outer. 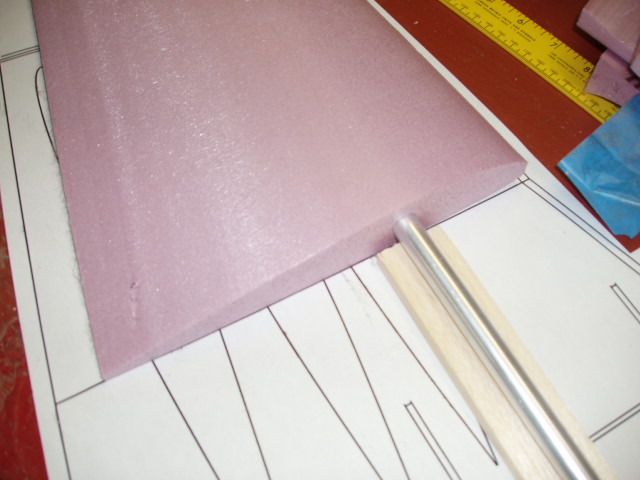 Begin by cutting the cores from foam using the templates on the plan. Cut the outer panels with 1/8″ washout ,and the roots with dihedral as shown on plan. 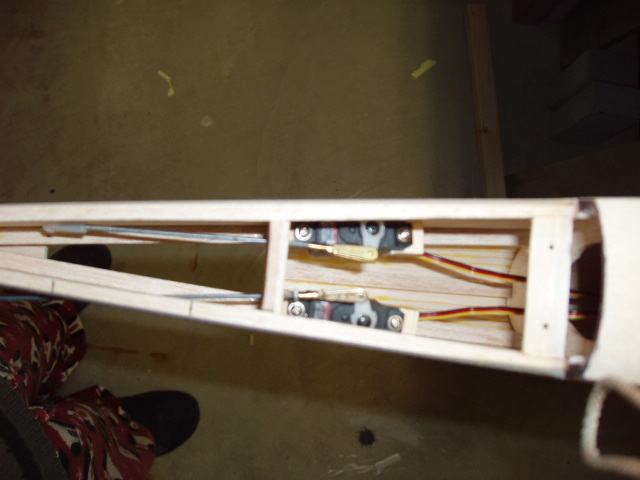 Cut the servo wells out and line them with balsa. Mark and cut the slots for the 1/8″ ply wing vertical spars in the center sections, then place cardboard in the slots with the roots joined to make spar templates. Now cut the hand hold holes out. Save the pieces cut out to use for templates on the sides . 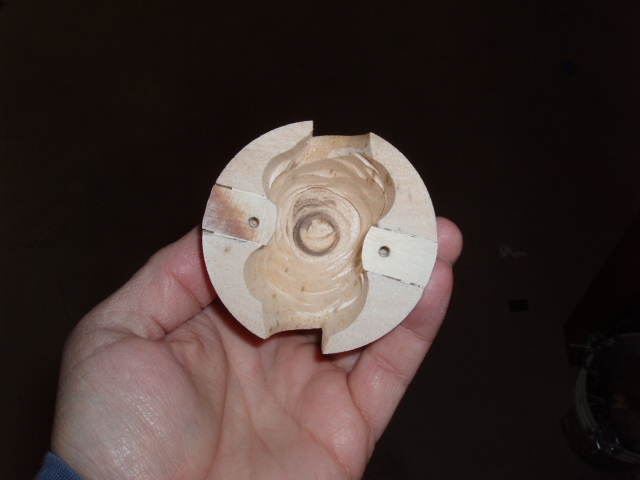 Using some 1/2″ diameter or similar, bore holes through the cores carefully for the servo wires. Epoxy the outer panels to the inner panels. Sheet the wing halves with light 1/16″ balsa, carefully installing the foam pieces in the center that become the hand grips. To save weight, the wing panels could be partially cap stripped rather than fully sheeted, though I have not built the prototype that way. Add the trailing edge stock, leading edge stock, and then test fit the spars into the roots. Once you can get the spars and wing panels to fit correctly, use 30 minute epoxy to install them, joining the panels. Mark and cut the ailerons from the wing. 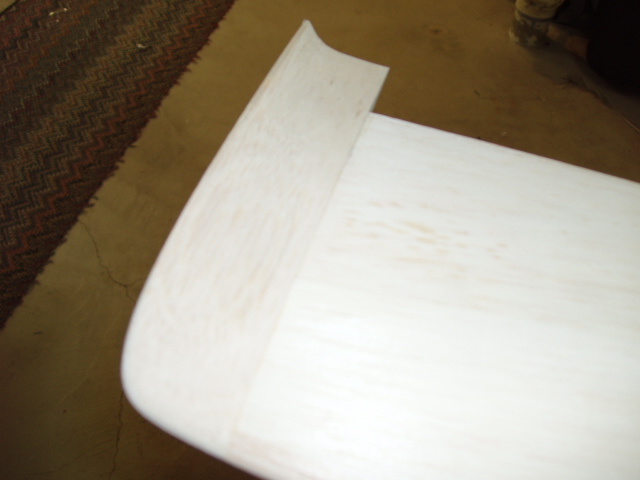 Trim away 1/8″ from each facing, and line with balsa. Bevel the front of the ailerons for travel. 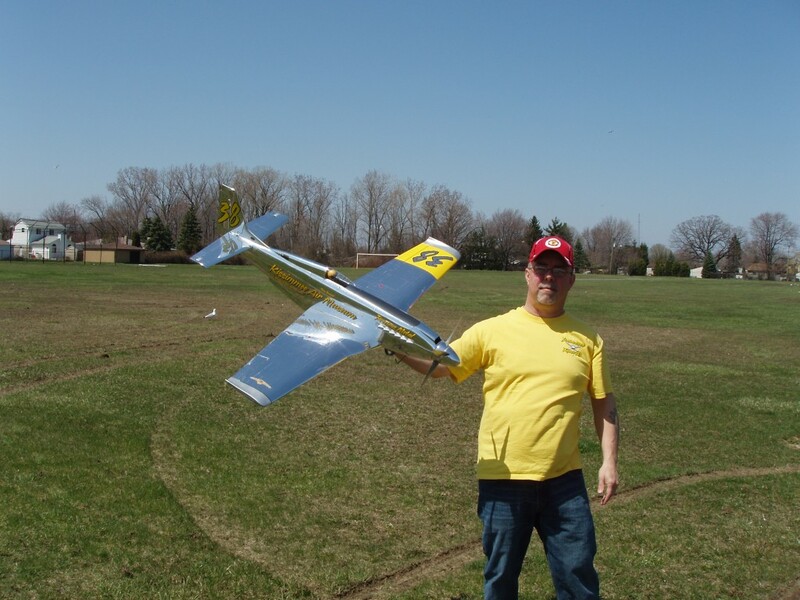 While the ailerons appear small, they function well. 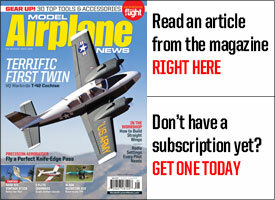 Cut , carve, and install the balsa wingtips. As of 2012, the tips were upturned, this may change. 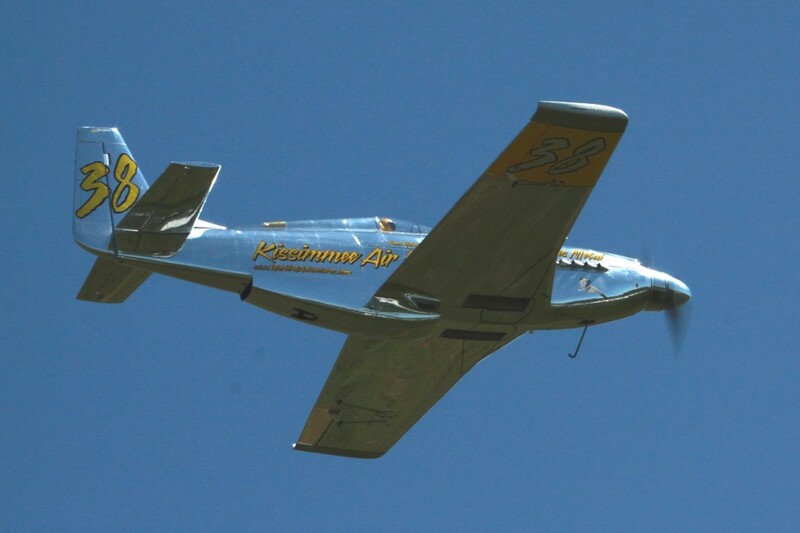 A quick internet search for “Precious Metal P51” will turn up a lot of photos of the entire ship, and several of the tips for some guidance.Cut the leading and trailing edge on the center line to match the plan so that the wing will fit tightly against the fuselage formers F1 and F3 when installed. Make the aileron servo hatches from 1/16 aircraft ply, and install mounting blocks in the well corners. The basic framework of the fuselage is built upside down on the plans. Begin by laying out the 1/4″ square stringers. Laminate the formers from two layers of cross-grained 1/16″ balsa. Make a balsa “sacrificial firewall” that will be used while building. The “brace” piece is 1/16″ ply. 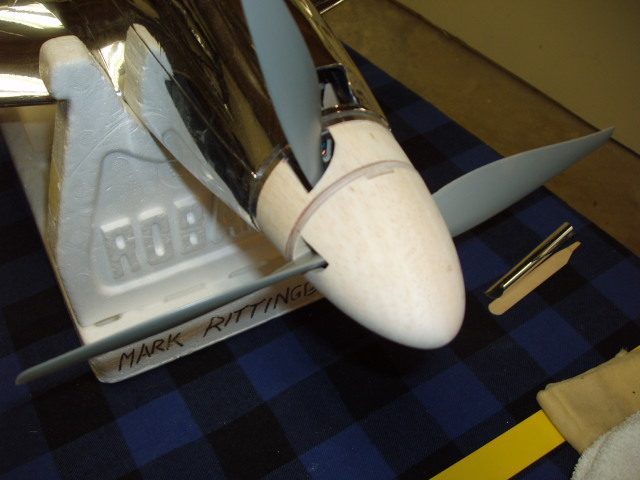 The nose ring and F1 are 1/8″ aircraft ply. Add the 3/16″ vertical pieces on the front of F1, these give the sides something to really grab onto .Add the 1/4″ square to the rear of F3. Install all the “F” formers, sacrificial firewall, and bottom portion of the nose ring to the stringers. Put 1/8″ square cross braces as shown on the plan to aid in holding the framework straight. 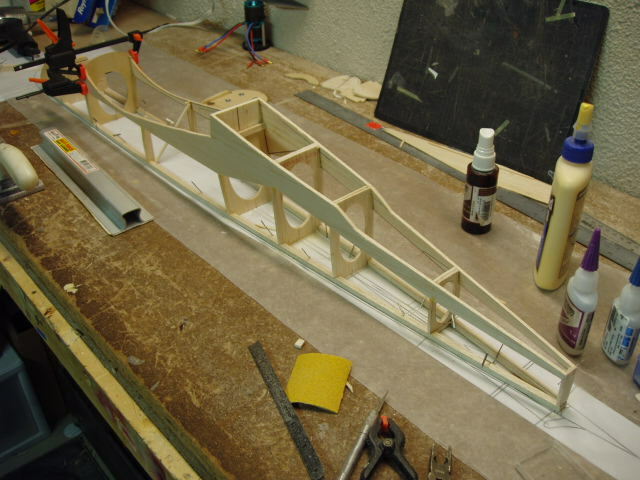 Add the 1/8″ balsa doubler the length of the fuselage. 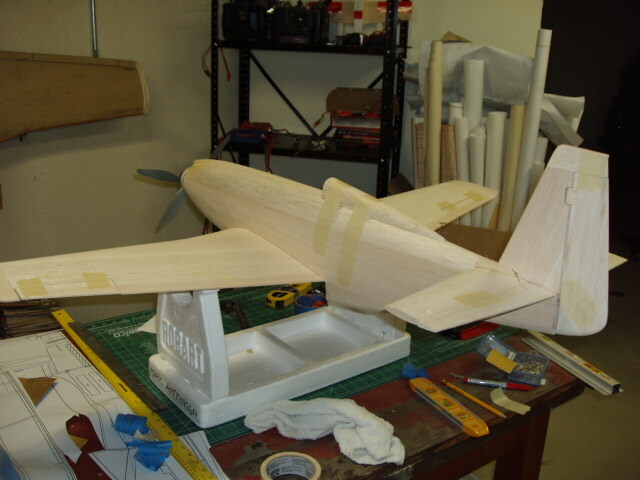 Using the plan, transfer the fuselage sides to medium to light 1/8″ balsa, and glue to the framework while it’s on the board. Wetting the forward section makes it easier to bend to the nose ring. 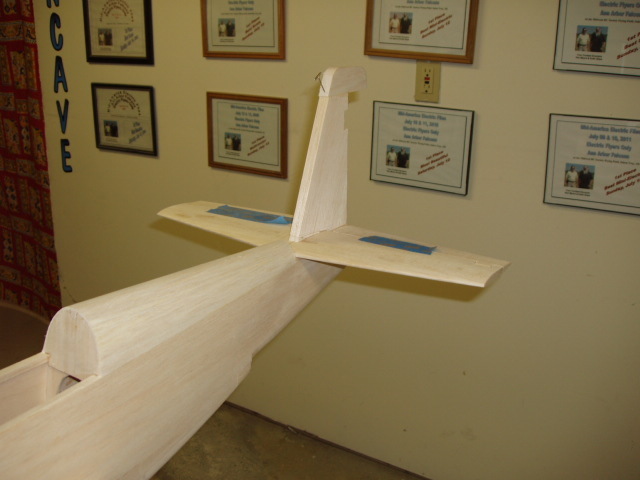 Install the small 1/8″ balsa piece under the nose, and the rough blocks under the nose and behind the trailing edge. Do not add the belly scoop, this will go on after the wing. On the prototype, I made a hatch on the lower rear portion of the fuselage to access servos , anticipating the weight toward the nose. I found that this isn’t really necessary. It can be built as the plan shows, or for better balance and no added nose weight, the rudder and elevator servos can be installed on the wing trailing edge ,just in front of F3. If you choose that option , be sure to put your pushrods in before sealing up the fuse. Either make the hatch under the rear, or sheet it with balsa depending on where you are putting the servos. You can remove the fuselage from the board now, and fit the wing into the saddle. Draw sand it to get a perfect, tight fit at zero degrees relative to the stringers. Now you can add the top rear formers behind the hatch. 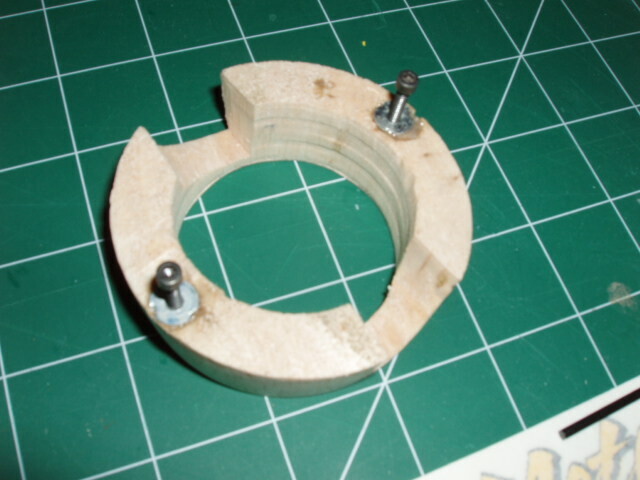 Glue the top center stringer in, as well as the 1/8″ hard balsa stab mounts. Plank the rear deck with 1/8″ by 1/4″ planks. 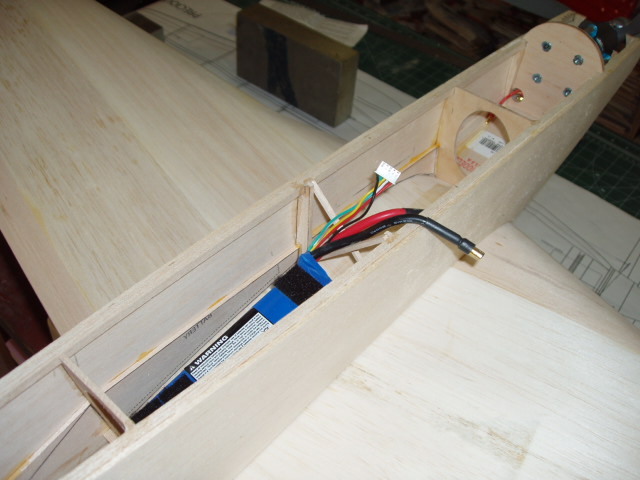 Remove the balsa firewall, and make one from minimum 1/4″ plywood. Using the mount included with the Himaxx CR3516 motors, mark the proper location on the firewall (the plan is a rough estimate), drill the mount holes, and mount blind nuts on the rear. Drill two 1/2″ holes at the bottom for the six motor wires to pass through. After test flying , I discovered it might be a good idea to have a nose skid. I used a nose gear mount from the parts box. I believe it was for 5/32″ wire. Mount the skid mount to the rear of the firewall, then fit the motor mount . Fit the firewall into the fuselage, and when you have a good alignment at 2 to 3 degrees down thrust, zero right thrust, epoxy it in place. You can use the 1/4″ side stringers as a datum. You will be able to access the motor mount allen head screws from the front if you must get at them once built. Now build up the hatch. Two methods can be used, either will work. 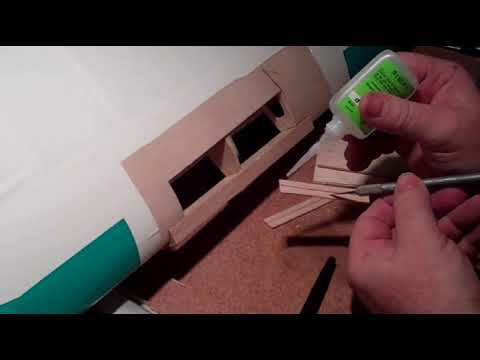 Make a hatch floor from 1/16″ medium balsa. I made my hatch by making a few formers and planking everything but the firewall forward with 1/8″ balsa planks .The front air scoop area I made with light 1/2″ sheet sections. I use magnets to hold the hatch on , and tabs on the inside to keep it aligned. Denny Sumner made a good suggestion. Install the magnets before sheeting/planking so they are in contact when installing, and drill 3/32″ holes through the hatch floor into the stringers before sheeting. 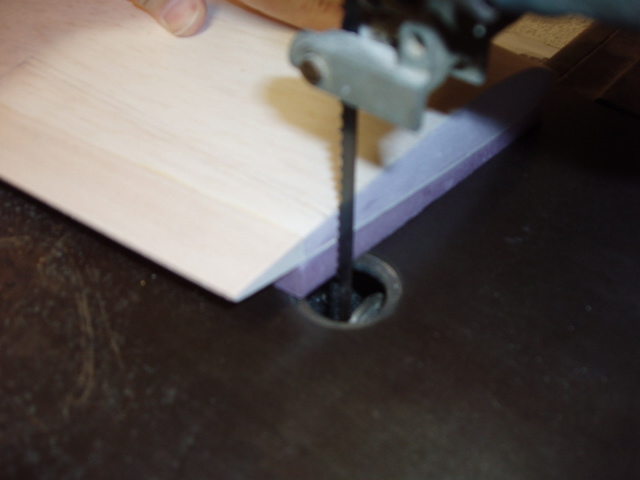 Cut short pieces of 3/32″ carbon rod and glue into the hatch to hold in alignment, then plank or sheet. The small rear deck was made from light balsa block, hollowed out. Draw sand to match the top of fuselage. The canopy is cut from the rear portion of a Sig bubble. A 1/9 scale Military Williams Brothers pilot bust fits nicely .By now, you have a good idea of what she’s going to look like. Both the horizontal and vertical stabs are made from solid ,light 1/2″ balsa plank. By drawing a line down the edge center you can carve and sand to a symmetrical cross section. The tips have 1/64 ply ends to aid strength. I made the elevators and rudder with the true scale counterbalance cutouts. I used an internal elevator joiner/horn from Sig Mfg. This makes for a tricky, but clean, installation. It’s not as easy as a pushrod sticking out, but makes a really nice looking installation. The fin sits on top the stab and rear fuselage. Test fit all tail parts and check for zero degrees incidence on the stab. Make the small fill piece above the stab. 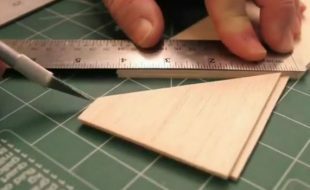 Finally, make the belly scoop from fairly hard balsa block, and hollow as much as you can. I also glassed mine with 3/4 ounce cloth and resin for a little more durability. 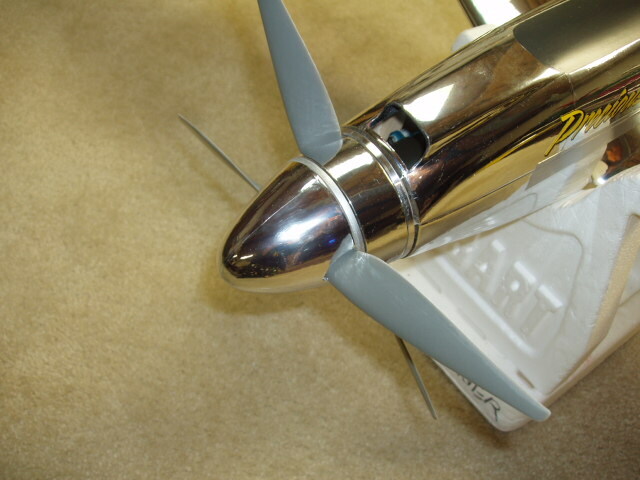 The focal point of a contra-rotating propeller driven model is obviously the prop setup up front. The PM is no different. Try as I might, I was not able to find a commercial unit that would work. The front prop is left-hand, as there are fewer available to experiment with, and finding a spinner with the right shape and left hand cut was difficult. Now that I have tested the props and determined that a 12-8 cut to 11 1/2″ diameter works on the front and an 11-8 1/2″ work well on the rear, the directions can be swapped ( RH front, LH rear). It will probably be easier to find the correct shape spinner that way. However, if you want the perfect spinner shapes, chances are you’ll have to make one, as I did. 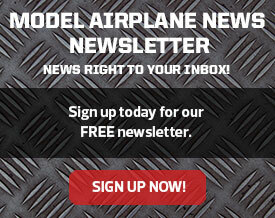 Start with a 3″ diameter Great Planes ventilated spinner backplate. From there drill the threads out of the attachment screw holes. Then slightly recess the holes for allen heads. Using a 1″ thick piece of soft balsa as the rear “spinner”, mark the locations of the screw holes, and epoxy two blind nuts into the balsa. Hollow out to about 1/2″ wall thickness. Screw the rear spinner balsa blank to the front of the rear spinner backplate. Using medium CA, tack glue an appropriate sized 1/8″ aircraft ply disc block to the front of the rear spinner balsa blank. This will be the front spinner backplate. Tack glue an appropriate balsa block to the ply. This will be the front spinner. Chuck this in a lathe, drill press , or drill, and spin to shape using progressively finer sandpaper until the shape is right. Pop the front spinner parts from the rear. Drill the prop adapter hole in the center of the ply backplate. Cut two 1/8″ deep notches in the rear of the front spinner, and install two tabs of 1/8 ply. Drill through the backplate into the tabs, and tap tabs for allen heads. Put a few drops of thin CA in the threads to toughen them up a bit. Make sure that you can get to the allen heads from the rear though the REAR spinner backplate. Hollow out the spinner to about 1/2″ wall. 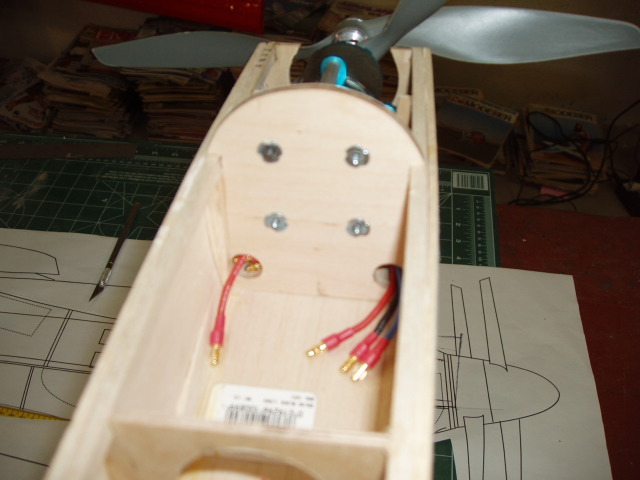 Add a 1/64 or 1/32 ply face to the front of the rear balsa spinner to help hold it together under the RPM’s. Cut the prop notches out of both spinners. 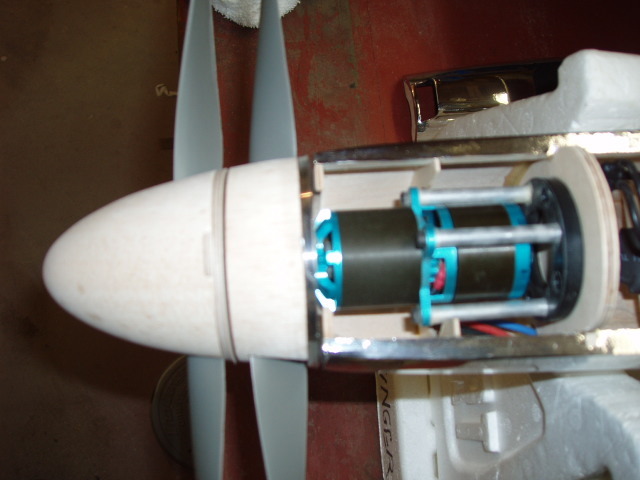 To mount the rear prop, you will have to drill four holes in the prop and the backplate. Make sure you drill the holes in the same place on any subsequent props, or they will not line up with your prop notches in the spinner. The motors will have a very nice drill guide included with them. Hitec Eclipse 7 Pro transmitter, Hitec Optima 6 receiver, Hitec HS 82MG servos on elevator and rudder, Hitec HS 65HB servos on ailerons, 2 E-RC 35 Amp ESC’s, Himaxx 3516CR motors, 3s5000 40-50C lipo w/5.5mm bullet connectors with parallel harness to two ESC’s. 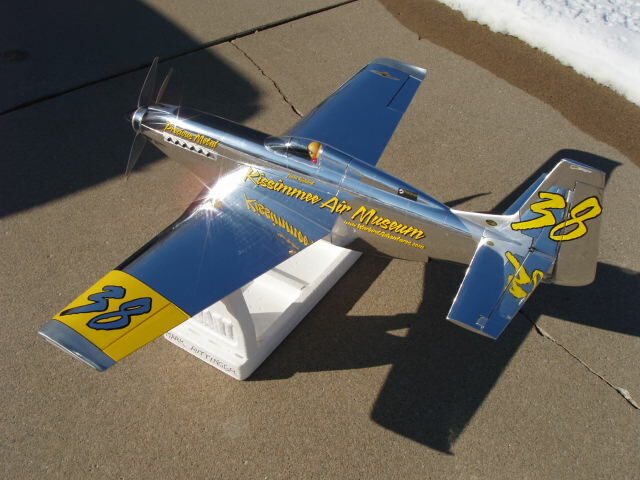 I covered my bird with Chrome Monokote to simulate the highly polished look of the 2012 racer. The entire ship with exception of the anti-glare panel and the Yellow on the wings was covered in Chrome. I will say that working with this stuff is not for the faint of heart. Your surface must be 100% dust free, the wood tack-clothed, the covering tack-clothed, and your work area spotless. 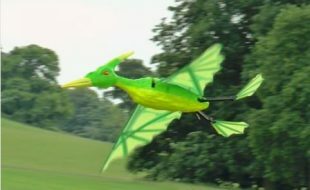 If doing the pre-2012 colors, Monokote Aluminum fuselage/tail and Monokote Neon Green wings would be good. As of this writing it has yet to be seen if 2013 brings another scheme. The lettering is done in Blaze ITC font, and printed on vinyl from a sign shop. I have the file should anyone need it. Once all your parts are covered, commence final assembly. All hinges are CA type. Using epoxy , glue the wing to the fuselage. Make sure you have a good bond and that covering on the wing doesn’t interfere with the wing/fuse joint. Check for straightness and alignment to the tail Once set, place the horizontal stab in place and check the incidence . If it’s at zero, hook up the elevator pushrod, and epoxy the stab to the fuse, again checking for 100% perfect alignment in plan view as well as horizontally. 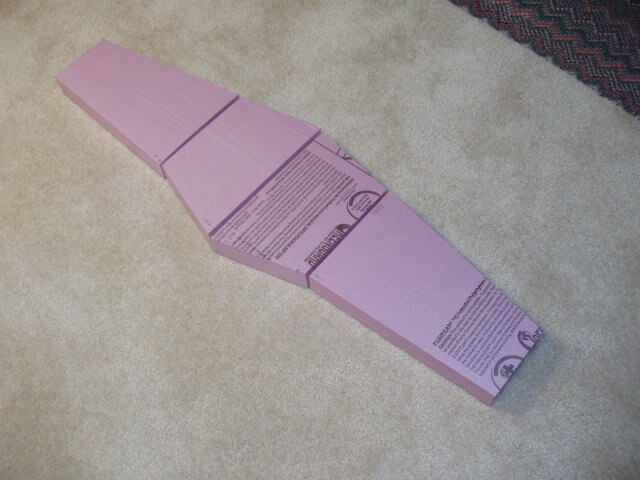 Again, once set, check fit of the fin/rudder. Hinge the rudder to the fin before installing, as it is easier. Once a good fit and alignment are possible, epoxy the fin in place. Glue in the small fill pieces on each side of the fin. Test fit, then install the belly scoop. Install canopy to the hatch. Check CG with the intended flight battery, and check control throws as shown on plan. Check proper motor rotations. Check lateral balance. 65.6 ounces ready to fly; 23.4 ounce wing loading; 13.9 wing cube loading; 160 watts/lb. 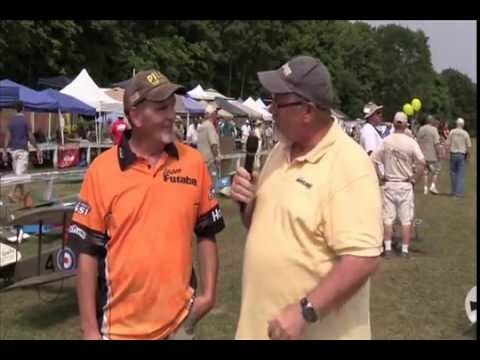 I use Hitec radios exclusively. My Eclipse Pro 7 has not failed to provide outstanding service in this model. 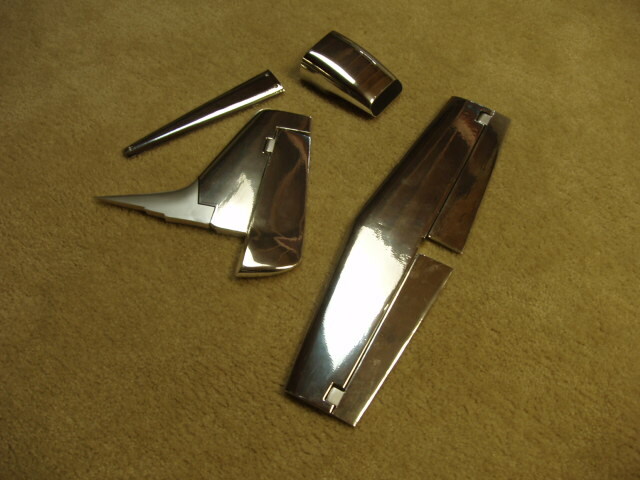 There used to be concerns over the chrome covering and RF, because the covering is actually a very thin metal. With the BODA antenna exiting the model on the bottom, behind the belly scoop, I’ve never had so much as a glitch. Whichever radio you use, be sure to do a range check with the model at least 12 inches from the ground, with an assistant holding so that you can perform the check with motors running. Once your model can pass a range check, check all surfaces for direction and throw one more time. Check CG one more time. Start at 21%, as indicated on the plan. She flies well there. Install a freshly charged battery, run up the motors to check for vibration one last time. 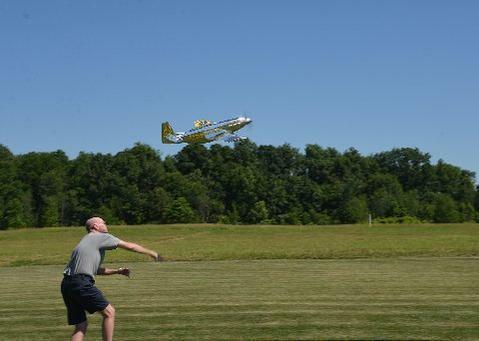 Hopefully, you have a flying buddy with a good arm like I do! Add about 5 clicks up trim , and have the assistant give it a good strong throw slightly nose high, wings level. Without torque, it’s going to go wherever it’s pointed. She has tremendous static pull, and will climb well. Get some air and trim her out. The PM likes speed, true to its full size inspiration. It has a nice groove, and once trimmed, will really move. I have found nothing to dislike about the high speed flight, other than you must keep an eye on it! Precious Metal does surprisingly well for what I consider a highly loaded model. I suggest trying out slowing her down with enough air to recover ,if need be. Get too slow, and she’ll likely drop a wing, but without torque, it’s tough to tell which one. She loves to do some aero! 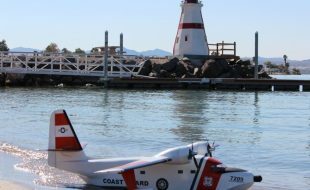 PM has great vertical, a nice roll rate, and an effective rudder. I’ve done point rolls, slow rolls, 1/2 Cubans, stall turns, wingovers, inverted, and with the CG right and some good thumbs, even got a decent knife edge for a bit .However, don’t confuse her with a Pattern or 3D ship, she just wasn’t designed for that. As always, I suggest a landing “at altitude” so you can gauge handling and sink rate. It’s a well-behaved ship, but trying to slow too much can jump up and bite you. Once on final, into the wind, cut power to about 1/4. Any less and you get a lot of drag from those props and it’ll sink quickly. Just before settling in, feed in some up, and she’ll grease right in. The airfoil section I designed behaves well, and I’m sure you’ll agree. If you need a go-around, she’ll reward you with a nice straight pullout. I hope you enjoy your unique Precious Metal Griffon P51 as much as I do. If you have any questions, feel free to contact me via email at mrittinger70@hotmail.com. As always, blue skies, fair winds, and smooth flying! Go fast and turn left, Thom, go for Gold! mark is a real beauty!!!!! !iam close to start my rubber powered version!please can you have available digitalized the lettering and markings?